We’re only a month out from the release of X-Men: Apocalypse, and today we’ve been gifted with a final trailer for the film. Much of the trailer—which you can check out below—is either reused or extended footage from the first two trailers we’ve seen. You know the gist by now: Apocalypse (Oscar Isaac) is an ancient, all-powerful mutant who aims to destroy and rebuild the world with the help of his Four Horsemen, a group of mutants he grants extraordinary power to. Naturally, the X-Men have to put aside their differences and prevent the end of the world. What we do get is a much clearer view of Raven/Mystique’s (Jennifer Lawrence) role in the film. It appears that at some point Charles Xavier (James McAvoy) is either captured or indisposed, so it falls on Raven to train and lead the recruits in the fight against Apocalypse. Given the strained relationship between the adopted siblings at the end of Days of Future Past, this dynamic looks to add a fascinating dimension to the film. We also get a quick peek at some familiar adamantium claws at the end. 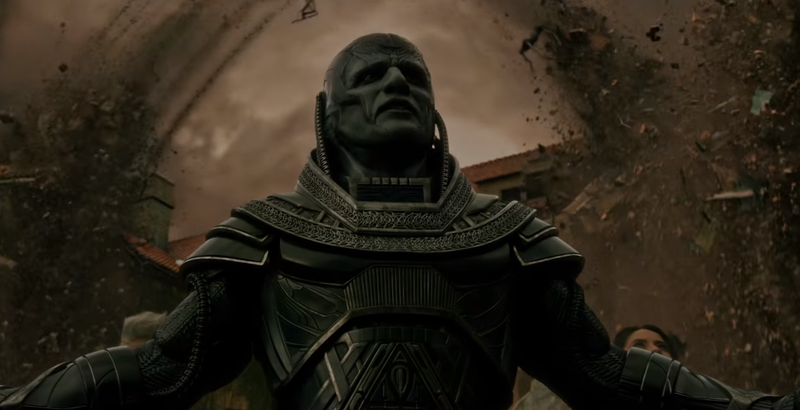 X-Men: Apocalypse is set for release on May 27. What do you think of the new footage? Let us know in the comments below.